Mr. Braffman is a member of the Private Markets Investment Committee and serves on the Global Investment Council. He leads the real estate investment practice and is responsible for real estate sourcing and underwriting activities. Prior to joining GCM Grosvenor, Mr. Braffman was a Partner in the Customized Fund Investment Group of Credit Suisse Group AG. Previously, he was a Senior Vice President at Zurich Alternative Asset Management, where he was responsible for sourcing, underwriting and executing U.S.-based real estate investments. Prior to joining Zurich Alternative, Mr. Braffman was a Vice President in the Merger and Strategic Advisory Group at Goldman Sachs, where he advised corporate clients on structured real estate valuations, monetizations and dispositions of their directly owned and used assets. Prior to joining Goldman Sachs, he was an Associate at Kirkland & Ellis LLP and focused on merger, securities and asset-backed law. 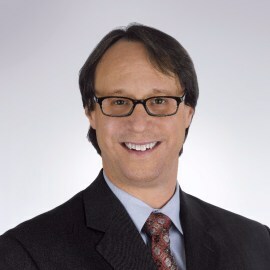 Mr. Braffman holds a Bachelor of Arts in Biology and History from the University of Rochester, a Master of Business Administration from Northwestern University Kellogg School of Management, and a Juris Doctor from Northwestern University School of Law.